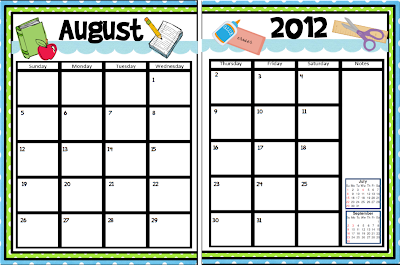 2 Page Calendars Freebies! - The Resourceful Room! I had a request for a 2 page calendar to go with a binder set and I loved how it turned out so I thought I'd make a few more and post them here for anyone who would like them! Now I don't even know which I'd rather use!!! Click on the Pictures to get them!! I've had a lot of requests in the last couple days, I'm working as fast as I can to get them to you so please be patient with me!! I know many of you are looking for the word wall to match the other sets and I'm working on them! Keep checking back there's more coming!! 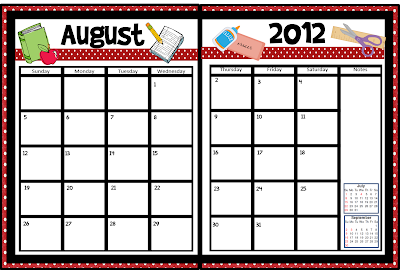 ********* YOU CAN GET THE 2013-2014 UPDATES FOR ALL OF THESE CALENDARS HERE********* THEY ARE INCLUDED IN THE BINDER SET DOWNLOADS! I love these so much!!!! I downloaded the pink and green! Thanks! These are AMAZING!! Thanks so much for such cute freebies! Thanks is not enough for all of the cool sharing you have done with us. Love them all! 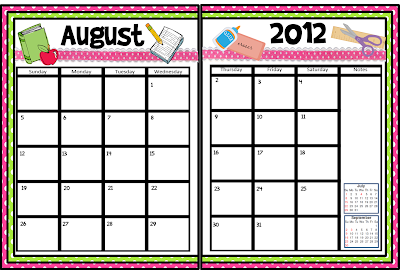 I just downloaded and printed the pink/green calendars. I absolutely LOVE them. I did find a couple of errors, in February and March that you might want to fix. I didn't print past May, so I didn't check the summer months. Thank you so much for sharing these. They will work perfect for me. I love these too! I really appreciate all your hard work! These are AWESOME! Thanks so much for sharing!!! You are amazing! I love the stuff you are creating. 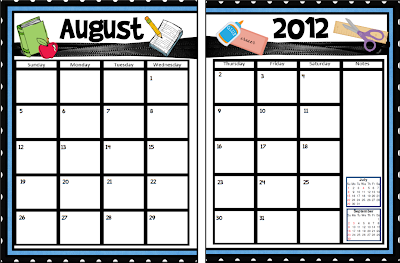 I am so excited to make my planner for this year! It did say that your pink/green calendar was "in the owner's trash." I'm not sure what that means, but I don't want you to lose it! Love them all, but I'm going with the Yellow and Black. Thanks!!! These look wonderful! I have my binder set now these. When I click on the pink/green it says error?? The others open good. Thank you sao much for sharing! Waaa! The pink/green link doesn't seem to be working. Any chance you can get that fixed? The rest all open and downloaded fine. Thank you *so* much for sharing your wonderful work! I am going to be a happy teacher this year, thanks to you! Grabbed the pink/green after the fix. It's perfect; thank you! Thanks so much ! I love all your stuff. I didn't know you had a blog! So happy I found it! Thanks for the freebie! I'm glad you found me too!! Glad you can use the freebie! I'm having problems with the pink and green too...perhaps after Feb/March was corrected? I love this calendar too. I'm thinking that I will use this one because it has bigger squares for writing down who I will be progress monitoring for that day and if I will be conferencing with a student. Thanks so much for sharing these and working so hard to get it to all of us. And Amy, this time I was able to download the pink and green calendar with no problems. Yay!! I still have not tried Firefox yet but will. Amy, I loooove these!! The cuteness combined with the fact that it's a 2-pager?? Wooot!! Thank you for sharing! Love, love, love them. I really liked the blue and black. Could you possibly make on in teal and black. Those are my colors this year AND I really love to match. 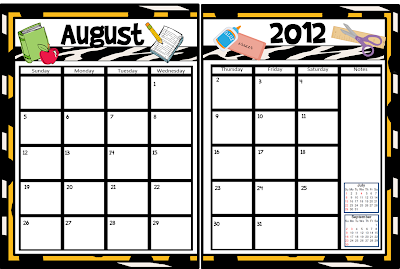 I also blogged about it on my site, so that other teachers can take a look at all your wonderful stuff. These are about the cutest things EVER!!! Thank you!! Thank you! (from another Amy) These are wonderful! Hey Amy! These are wonderful. 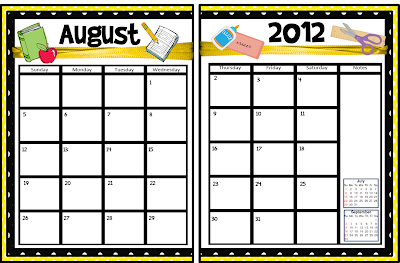 Is there any way you could make a 2 page calendar to match your pink and black binder set? Thank you so much for this freebie! I found one that fits my theme :) I am a new blogger; come over to my page and check it out when you can! I've been looking for a 2-page calendar. Thank you so much for these!